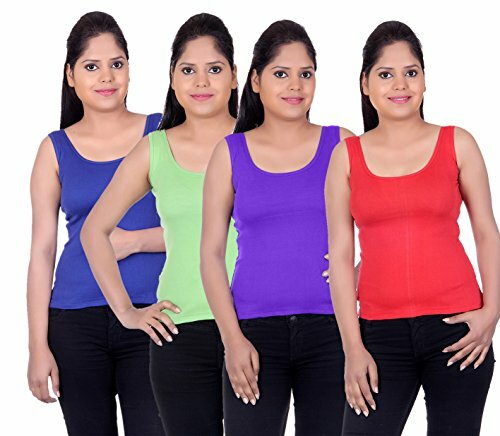 LIENZ Women Camisole Tank Top Red, Purple, Green and Blue Color - Pack of 4@1999 Rs [Mrp:-1999] - Onlinedeals.discount - A leading product discovery website. Find the true prices of products, read reviews and buy top brand products at reasonable prices. 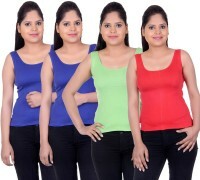 LIENZ is a lingerie brand known for its international and sensuous designs, comfortable cotton fabrics, imported laces, and its exceptional understanding of Indian women. 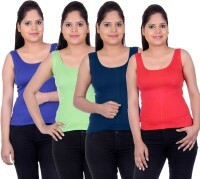 It offers the most comprehensive range for all age groups and makes you feel confident from within, with total style, total support and total comfort. 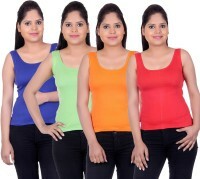 So whatever your size, shape or style preference, when you wear a LIENZ you will feel your inner confidence soar.